This page is recommended for those interested in understanding their contributions to Marxism-Leninism. Marxism-Leninism is the most revolutionary doctrine that has ever existed in the history of mankind. This page is about the communists of history who have raised high the banner of socialist revolution and proletarian internationalism, and who have resolutely developed and defended Marxism-Leninism, the invincible weapon of the working class in its struggle for liberation, revolution and the construction of socialism. The true history of these beloved comrades’ work for, and their contribution to, the cause of the international working class is yet to be written, but the science of Marxism-Leninism connects us to millions of workers and laboring people in the struggle for the revolution against capitalism and the creation of a new, socialist society. The international significance of these five revolutionaries’ contributions to Marxism-Leninism is also shown by the fact that their theories influence vast masses of people and direct the course of revolution in the era of imperialism. The five classics of Marxism-Leninism represent an ideal combination of a great theory with enormous revolutionary practice. Their names inspire revolutionary spirit in every corner of the world and resound as a call to fight for the liberation of nations and the complete human emancipation from capitalism. As Dmitry Manuilsky once said, “Years will pass. Not a stone will be left of the accursed capitalist system, with its wars, its reaction, its vileness, brutality and savagery. In the memory of people the times of capitalism will remain as a ghastly nightmare. Communists must call upon the revolutionary parties of the working class, the international proletariat, the oppressed nations and peoples and all the revolutionary fighters of the world to study and put into practice the basic teachings of Marxism-Leninism. German philosopher, economist, sociologist, historian, journalist and revolutionary. Co-author of The Communist Manifesto with Frederich Engels. One of the founders of Scientific Socialism. Karl Marx and Friedrich Engels were the creators of the dialectical method, as well as philosophical and historical materialism. Wrote extensively on the class struggle between the bourgeoisie and proletariat. Marx’s works revealed the class nature of the state, and showed that ever since classes had appeared in society the state had always been an organization of the ruling class, an organization of a handful of exploiters, of the minority, for the suppression of the exploited, who represent the majority of the population. Marx invented the Marxist labor theory of value, which stipulates that value in capitalist society is created by labor, and that the working class produces more value than what is necessary to sustain them, which is extracted as “surplus value” by the capitalist ruling class who own the means of production. Thus, Marx enunciated the class struggle and the existence of parasitic classes in capitalism. 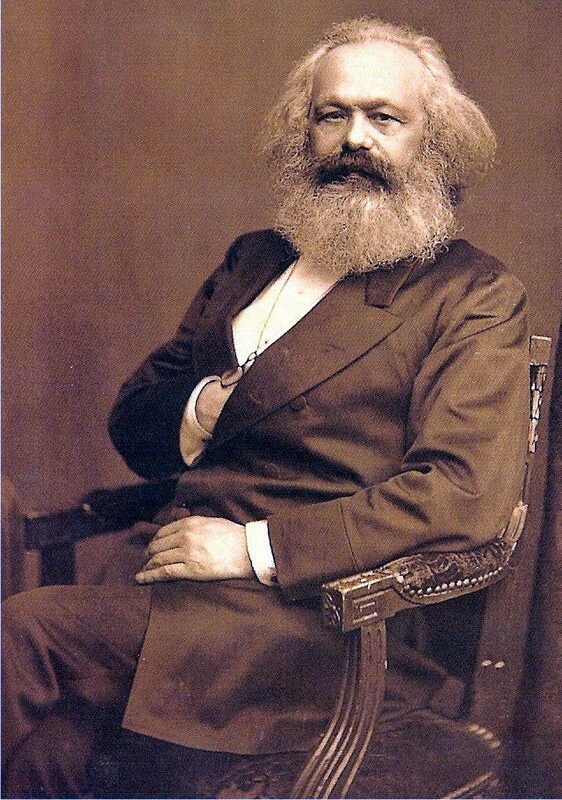 Marx provided a new understanding of the workings of capitalism and economy in his brilliant thesis Capital, where he defined the science of the laws of development of capitalist society. Marx expounded on the essential traits of capitalism and what makes it tick, such as private ownership of the means of production, rule by the market, a reserve army of labor in the unemployed, the exploitation of wage labor, profit as the regulator of production, circulation and export of capital, and labor power as a commodity. Marx advanced the science of proletarian revolution by creating the Marxist idea of the dictatorship of the proletariat. Marx saw the dictatorship of the proletariat as they key to the transition from capitalism to socialism and from socialism to communism. Elaborated on the strategy and tactics of the working class in the period of pre-monopolist capitalism. Wrote the theoretical basis for the three components of Marxism: dialectical and historical materialism, Marxist political economy, and scientific socialism. Outlined the foundations for modern sociological thought and described the history of the rise of class society and how history is shaped by the class struggle. German industrialist, social scientist, author, political theorist, philosopher, the father of Marxist theory, alongside Marx. One of the founders of Scientific Socialism. Co-authored The Communist Manifesto with Marx. 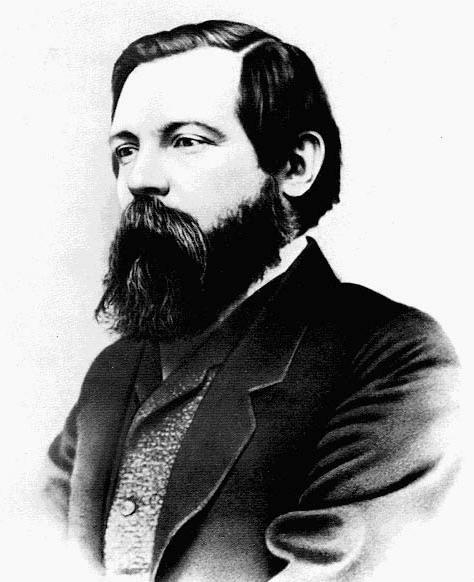 One of Engels’ great contributions is The Condition of the Working Class in England, which exposed the effects of industrialization on the English working class. Engels condemns the effects of private property on the working class and concludes that private property must be abolished. Between 1850 and 1870, his research and experience in commerce would become his second contribution; it would constitute much of the informational foundation for Das Kapital (198). Das Capital would draw generously from Engels’ personal experience working within the textile industry. Perhaps his most famous work is The Origins of Family, Private Property and the State, which demonstrated how the family, property relations, and the state are determined by historical conditions and subject to change. The work is often recognized as one of the first efforts to link patriarchy and capitalism. Engels applied dialectical materialism to a variety of interests, including military studies, natural science, and history, and wrote extensively on these topics. His works make Marx’s complex economic and social theories accessible to the working class. His work Socialism: Utopian and Scientific, praised and criticized the works of Utopian socialists like Robert Owen, Charles Fourier, the Chartists (an English labor movement), and the League of the Just. It criticized Utopian socialism and formed the doctrines of Scientific Socialism. Engels organized Marx’s notes on the “Theories of Surplus Value” and this was later published as the “fourth volume” of Capital. Leader of the Bolshevik faction in the Russian Social Democratic Labour Party. Leader of the Great October Socialist Revolution in Russia in 1917, which led to the construction of the world’s first socialist state. The Great October Socialist Revolution gave birth to a new era in the history of humankind. Chairman of the Council of People’s Commissars of the Russian Soviet Federative Socialist Republic (1917-24). Founded the Union of Soviet Socialist Republics in 1922. Lenin developed and supplemented the teachings of Marx and Engels and gave the proletariat a new, comprehensive theory of socialist revolution which illumines the path of the struggle of the working class for communism and all the problems of the strategy and tactics of the proletariat in the period prior to the seizure of power by the proletariat, in the period of the establishment of the proletarian dictatorship and the suppression of the resistance of the exploiting classes, in the period of building socialism, and in the period of the completion of the building of classless society and the gradual transition from socialism to communism. 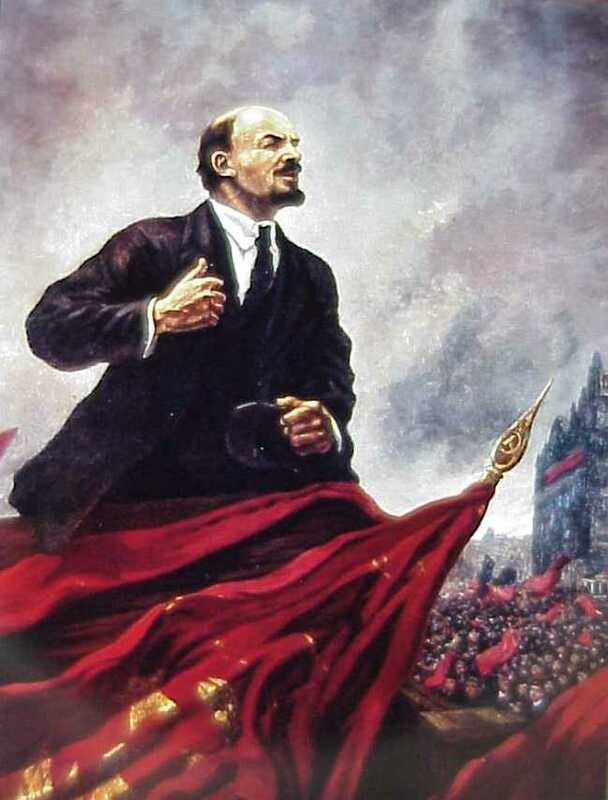 Lenin laid the foundations for the materialist ideology of Marxism-Leninism, a term used by Joseph Stalin to mean an application of the scientific socialist theories of Marx and Lenin to the material conditions of each country in the era of imperialism and proletarian revolution. Lenin wrote extensively on the three source sand the three components of Marxism: dialectical and historical materialism, Marxist political economy, and scientific socialism. 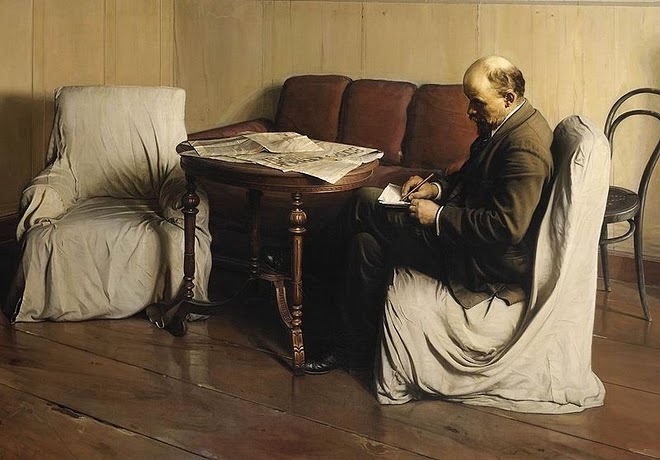 Lenin showed the working class of the world that socialist revolution was possible, and wrote about the objective and subjective material conditions required to wage a revolution. Lenin created the revolutionary theory of the “vanguard party” in What Is to be Done?, a revolutionary thesis on the structure of a party of a new type, the most advanced detachment of the working class organized into a military-type Party of professional revolutionaries. The vanguard would operate on a system called Marxist democratic-centralism. Lenin built the party of a new type; he led this party to storm capitalism and establish the dictatorship of the proletariat. In The State and Revolution, Lenin defended the teachings of Marx and Engels on the state against their vulgarization and distortion on the part of the opportunists, and smashed to pieces the would-be theories of the Social-Democratic reformists regarding the nature of the state as an organization that “stands above classes,” would-be theories which have subsequently been appropriated by the ideologists of the so-called totalitarian state. Lenin formulated the Marxist theory of imperialism in Imperialism, the Highest Stage of Capitalism, a well-founded analysis of imperialism as the monopoly stage of capitalism. Lenin deduced the law of the intensification of the uneven development of capitalism in the imperialist era. Basing himself on the unevenness of the development of capitalism, Lenin discovered another truth which enriched Marxist science — namely, the impossibility of a simultaneous victory of socialism in all countries and the possibility of such a victory in several countries or even in one country taken singly. Lenin revealed the contradictions of imperialism and the conditions of its inevitable collapse. Lenin authored the brilliant thesis The Right of Nations to Self-Determination, a thesis linking Marxist-Leninist practice and class struggle with national liberation struggles of oppressed nations. Prior to the collapse of the colonial world after the two World Wars, Lenin proclaimed that nations have the right to sovereignty and self-determination, and that Marxists should support national liberation struggles that assist in the liquidation of imperialism. Lenin merged the Marxist theories into a solid system of views on the national-colonial revolutions and explained the significance of the national-colonial question as a constituent part of the general question of the proletarian revolution and the dictatorship of the proletariat. Lenin developed the Marxist theory of revolution in colonial-type countries, showing the possibility of the transition of backward countries to socialism, skipping capitalism under the conditions of the support from proletarian revolutions in the developed countries. These ideas have become a great, transforming, creative revolutionary power capable of raising hundreds of millions of people to the struggle for their liberation. From this thesis of Lenin’s it followed, in the first place, that the working class at the head of all the exploited can break the imperialist chain at one of its links—the weakest—and that such a weak link may be represented by a country which, although backward in its economic development, is subject to the most devastating effects of the internal and external upheavals of the capitalist system; secondly, that, despite the technical and economic backwardness of Russia, it was possible to build socialism in it by the efforts of the Soviet workers and peasants themselves, on condition that foreign intervention did not prevent the realization of this historic task of world importance. Author of 54 volumes of Collected Works. Comrade Stalin was the General Secretary of the Central Committee of the Communist Party of the Soviet Union (CPSU) from 1922-1952, the leader of the Soviet Union during the Great Patriotic War against fascism from 1941-1945, and until his death in 1953. Chairman of the Council of Ministers (1941-1953). People’s Commissar for the Defense of the Soviet Union (1941-1953). Member of the Secretariat (1922-1953), full member of the Presidium (1919-1953) and member of the Orgburo (1919-1953). Leader of the Soviet Union during the period of the building of socialism which was marked by the determined offensive against the capitalist elements, the drawing of millions of individual peasant farms into the work of socialist construction, the elimination of the kulaks as a class, and the transformation of Soviet economy with its survivals of capitalism—an economy which was not yet fully socialist—into socialist economy. Organized among his fellow workers in his native Georgia before his rise to power. Made important contributions to the implementation of the Communist Party’s policy of socialist construction in the U.S.S.R., and won great popularity by his relentless fight against the anti-Leninist groups of the Trotskyites and Bukharinites. Made theoretical contributions to Scientific Socialism by writing works on the topics of the dictatorship of the proletariat, the liquidation of the exploiting classes, the continuation of class struggle under socialism and the dictatorship of the proletariat, the Marxist view on the national question, economic problems of building socialism in the U.S.S.R. and dialectical and historical materialism. Under the leadership of Comrade Stalin, the working classes of Russia, Ukraine, Belarus, Uzbekistan, Kazakhstan, Georgia, Azerbaijan, Turkmenistan, Armenia, Tajikistan, Kyrgyzstan, Moldova, Lithuania, Estonia and Latvia became the ruling class of each SSR. Comrade Stalin also helped the working classes of Mongolia, Eastern Europe, Korea and China liberate themselves. Stalin led the Soviet Union during the Great Patriotic War against the Nazi German invasion and helped saved the world from fascism. Elaborated the problems of Marxist theory relating to the period of the general crisis of capitalism and revealed the increasingly destructive nature of the economic crises which deepen and intensify the crisis of the entire capitalist system. Comrade Stalin’s remarkable articles on the national question, and his works dealing with the colonial question became the basis of the Lenin-Stalin teaching of the reserves of the revolution. In the Stalin era, Russia and the Soviet Union went from a collection of backward, semi-feudal sates into a mighty industrial and military superpower that was able to compete and stand up to U.S. imperialism. Concerning Questions of Agrarian Policy in the U.S.S.R.
On the Final Victory of Socialism in the U.S.S.R. Studied at American Technical School in Tirana, later in France (1930-34) and Belgium (1934-36). Returned to Albania in 1936, worked as schoolteacher. A founder of Albanian Communist Party in 1941. Member and secretary of CC of Albanian Communist Party from 1941, its general secretary from 1943 to 1948. Political commissar of Army of National Liberation resisting Italian and German occupation. Established the Democratic Front government in liberated Albania in 1945. From 1948 to 1954 general secretary, and thereafter first secretary, of CC of Albanian Party of Labor, concurrently from 1944 to 1954 chairman of Council of Ministers, and from 1946 to 1953 minister of foreign affairs. Semi-retired in 1983. Died in 1985. Gave a legendary speech on November, 1960 at the Meeting of 81 Communist and Workers’ Parties in Moscow where he openly condemned Khrushchevite revisionism. Author of 70 volumes of Collected Works and several books, notably Imperialism and the Revolution, Eurocommunism is Anti-Communism, Yugoslav “Self-Administration” – A Capitalist Theory and Practice, The Marxist-Leninist Movement and the World Crisis of Capitalism, The Theory and Practice of Revolution, The Khruschevites, The Titoites, Reflections on China, Reflections on the Middle East, The Anglo – American Threat to Albania, The Superpowers, Laying the Foundations of a New Albania and With Stalin. The importance of the ideological struggle of the Albanian communists led by Comrade Enver Hoxha cannot be overstated. Enver and his comrades were at the forefront of the struggle against Yugoslav revisionism and the Titoite clique. Comrade Enver Hoxha and the Albanians were the first ones to publicaly denounce Khrushchevite revisionism and the anti-Marxist theses of the 20th Congress of the Communist Party of the Soviet Union. Hoxha later contributed to the theory of social-imperialism and the restoration of capitalism in the Soviet Union. Comrade Enver Hoxha criticized and denounced the revisionist nature of the Chinese state and “Mao Tse-Tung Thought” and Maoism as an anti-Marxist theory and practice.